This week has been busy with Apple software updates (Mac OS X 10.5.8, Safari 4.0.3 and AirPort fix). 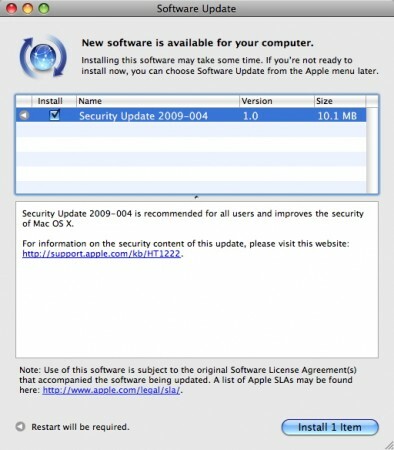 Now Apple has just released Security Update 2009-004. The update includes a fix for a DNS vulnerability. You can read more about it here. 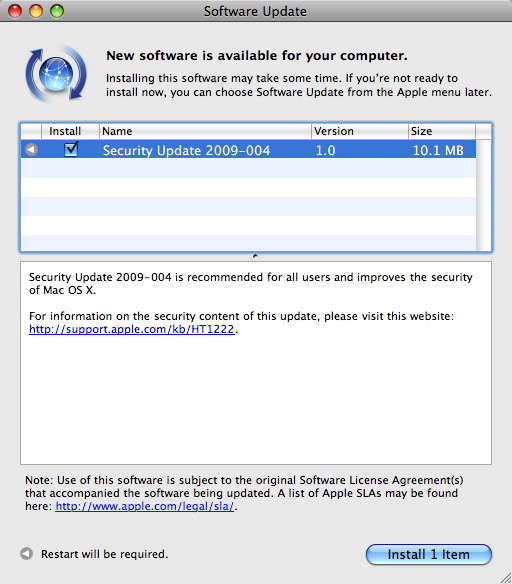 It is available for both Mac OS X Leopard and Tiger operating systems and available from Apple software update. You could also download them: Mac OS X Leopard, Mac OS X Tiger on Intel and Mac OS X Tiger on PPC.